Emotional intelligence is what we feel. It is the feelings that are born inside us long before our brain can assess the situation, apply social filters and decide whether it is "good" or "bad". Search for "how it feels" (instead of "what" in Google). Strong team and advisors, team members pass kyc verification. Interesting idea, but many competitors in the market and will be hard to be successful in crypto market without good marketing budget. This is an interesting model of ads reward by UGC. The service product is pretty ready. The challenge is promotion. I foresee this project will success if got enough fundraising for marketing. Very strong team and good advisors. KYC passed - is good too! But vision is average and have a many questions. Product also so so and many questions also. I see problems with marketing and development in this project. Regress. I am removing the previous rating due to "Suspicious ICO" warnings from ICOBench. ICOBench warns advisors of any suspicious activities, and this is designed to stop any fraud or scams. I am not aware of the suspicious activity details and hence the action to remove the previous rating. The ability to receive confirmed independent reviews about the product is of great importance. For example, http://teleperformance.cc/ earns $ 5 billion a year on such services. The company already has MAU 30.000 users, so it looks like it has every chance of success in this market. Seeing I just got an email stating they might be a scam - without much evidence really. I will lower this, until they come out and prove otherwise. The ICO is long over now, so it's kind of pointless. New information that needs clarification just came to light ! just got an email stating they might be a scam - without much evidence really. I will lower this, until they come out and prove otherwise. The concept is very interesting though and very effective. All Social media performance is good and active member. A good team and Advisor board with a quite innovative product and a great vision. lot of potential on this one. C1. Serious allegations that this is an ICO scam have emerged. C4. I would like to invite the team members to respond to the allegations by 28 Feb 2019. C5. I may revise my ratings thereafter. In my opinion I think this project has a strong team and advisor. The idea is interesting, and uses AI which is always a plus for me. Real world / technology combinations are powerful and the timing of a project such as this with the negative press around the profit-motive of the centralised social networks is really good. Team has very marginal presence on linkedin. Accounts are either new or have very few connections and limited portfolio. Link to github has only readme file. The concept is very interesting though and promotion appears to be effective. Good number of telegram users and bitcointalk threads. Considering that ICO is 162 days away it can get good awareness. Very interesting concept. Excited to see more EI come into the social media world. Currently, as an advertising-centric platform I don't see a lot of scope for growth, realistically, especially given how difficult it will potentially be to crack into this market. But definitely interesting use-case and am excited to see what can come off it. Seems like the team is trustworthy but the concept is not new and a Blockchain is not a necessary feature for this business idea. Getting enough people on board to have a platform with enough content to keep customers can be challenging. Good idea at the right time probably, as we see what Facebook is capable in recent news, and how harmful centralized social networks can be. Great project and excellent team ... Wishing you the best of luck. Interesting project. Good luck to the team! A good team, with a quite innovative product and a great vision, thanks to the already existing application! Interesting idea with a significant amount of functionality already built. Built out team with relevant industry experience paired with seasoned blockchain advisers is a strong indicator for this project. Launching ZeroState app development, team building. Releasing the app on the App Store and Google Play. 30,000 active users. 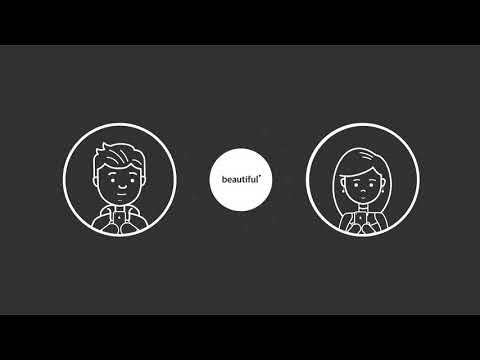 First advertisers on the platform. Launching a test pay-for-review system in fiat currency. Marketing effort to attract 1 million users. Entering U.S. and European markets. Development of the ZeroState blockchain system to tokenize feelings and emotions begins. Development of a browser extension begins. Development of Knowledgebase for the Internet of Things (IoT) begins. Entering the local markets of India and China. Entering the markets of Africa and Latin America. Localization and scaling in the countries of presence.